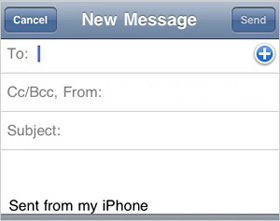 Should you respond to all emails from your phone? No! Add this phrase to your signature in Outlook, Gmail, or tool you use to manage email. Voila! You earned a free pass on every email you send. If a brief response isn’t feasible, make a phone call to resolve the matter with the free time you would normally spend creating an elaborate email response. I’ve used this approach on a couple of occasions and a recent post on Quora reminded me of its effectiveness. Stop concerning yourself that it could be misleading. Have you ever answered the phone and said “I’m on my way,” meanwhile you haven’t left the house yet? Same difference. Maybe you didn’t respond from your mobile device as you originally planned. No harm, no foul. Consider this technique your “Get Out of Jail Free” card to help you avoid declaring email bankruptcy!